↑ Obituary Variety Obituaries|Variety, March 19, 1975, page 87. ↑ Sloan, Lloyd L.. "Interested in Astrology? 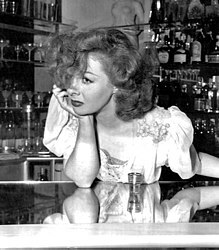 Talk to Susan Hayward", 7 March 1949. Retrieved on 7 May 2014. 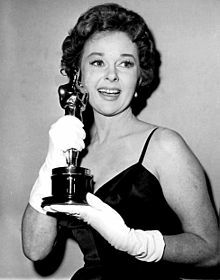 ↑ "Actress Susan Hayward dies of brain tumor", Lewiston Morning Tribune, March 15, 1975, p. 2A. Retrieved on January 13, 2013. ↑ "Susan Hayward funeral simple", The Tuscaloosa News, March 17, 1975, p. 3. Retrieved on January 13, 2013. ↑ "Cancer deaths of film stars linked to fallout", The Free Lance-Star, August 7, 1979, p. 7. Retrieved on January 13, 2013.